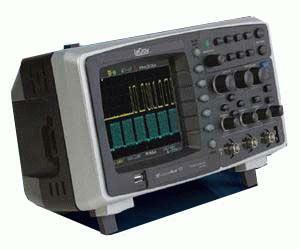 A good oscilloscope should simplify how you work and shorten the time it takes to find and debug problems. The WaveAce™ combines long memory, a color display, extensive measurement capabilities, advanced triggering and excellent connectivity to improve troubleshooting and shorten debug time. With bandwidths from 60 MHz to 300 MHz, sample rates up to 2 GS/s and waveform memory up to 9 kpts/Ch (18 kpts interleaved) the WaveAce exceeds all expectations of a small affordable oscilloscope.